Air Door Actuator sometimes called heater blend door actuators control the combination of hot and cold and the direction it flows, towards your feet through lower AC vents or towards your body through dash vents. Fits a variety of Chevy, Cadillac, Buick, and Pontiac models including Chevy Impala 2004, 2005, 2006, 2007, 2008, 2009, 2010, 2011, 2012, 2013, 2014, See below for all vehicles. Redesigned housing last longer than factory part. Each piece features an OEM Fit, Quality, and Finish with improved plastic molding and internal circuitry. The result is a reliable air temperature blend door actuator that will last a lifetime. Lifetime Warranty, if the part ever fails simply contact us and we’ll replace the air door actuator free of charge. The blend door actuator or air temperature blend door controls the combination of hold and cold air from your AC and heater. Additionally it controls the direction the air flows. 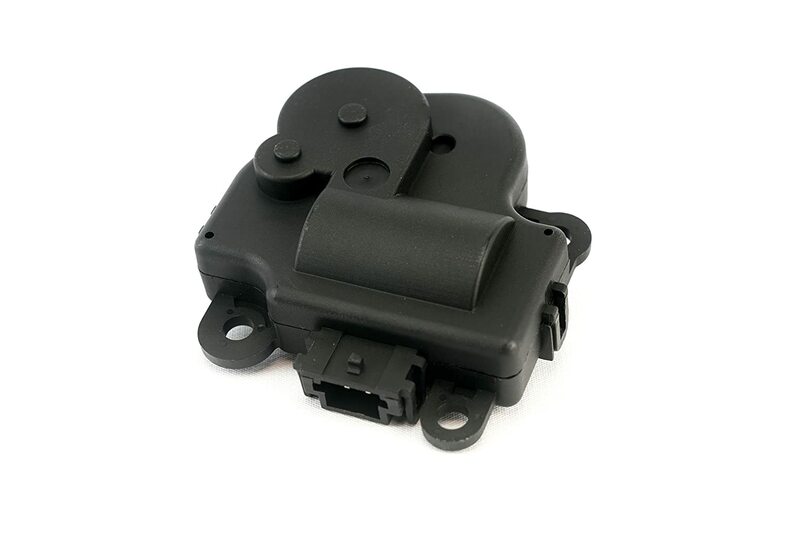 When the factory blend door actuator fails you can loose control over the AC in your Chevy Impala or other vehicles. This replacement blend door actuator will restore your heater and ac controls in your Chevy, Buick, Cadillac, or Pontiac. This is not a genuine GM or Dorman part. This part is manufactured by AA Ignition and carries a lifetime warranty. The terms GM, Chevy, Buick, Cadillac, Pontiac, and Dorman are used only to identify the vehicles and part numbers this item replaces.